I woke up at 6:00am, excited to start the day. It had been years, but the day I had been waiting for had finally arrived. The long wait was over. I brushed my teeth, showered, put on my clothes, fixed my hair, ate a little breakfast, and zoom! I played my favorite tune in the car, “Hanging by the Moment” by Lifehouse, to set the mood. It was going to be one of the best days of my life! A few years ago, our business went bankrupt. My partners and I lost almost P10 million, and I incurred an additional debt of P2.5 million. In 2½ years, my wife and I were able to pay off all our business debts. The only debt that remained was P500,000 I had borrowed from my auntie. Although I would pay her a certain amount every month for years, it still took a long time before that memorable day. I went to my auntie’s house in Quezon City. She lived inside a posh subdivision that was one of the most expensive places to live in. I stood outside the gate of her house, and took a long, deep breath before pressing the doorbell. A helper guided me to their living room. I sat down on a sofa inside their elegantly big house, which had its own garden and swimming pool. I estimated their house to be worth more than P60 million. My auntie came to greet me. After some pleasantries, I then went on to the agenda of my visit, the main reason I was there—to finally pay the remaining balance of my debt. I thanked my auntie for all her help and for being so patient with me. But in the back of my mind, I could still remember how I felt during all our family reunions every Christmas day… very awkward! Now please don’t misunderstand—I love my auntie, but every time I saw her, I wanted the earth underneath me to swallow me alive. It gave me chills just thinking about it. I told myself, those days are coming to an end. I wrote a cheque for P125,000 and gave it to my aunt. It was like shackles that were binding my hands were falling off, and it was an indescribable feeling! After we said our goodbyes, I got in my car, and shouted… FREEDOM! I was finally debt-free! And if I can get out of debt, so can YOU. Pay Up! 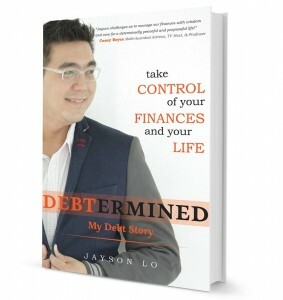 A true story on how to get out of debt! Debt Penalty: YOU MAY NOW REST IN PEACE! And my favorite of all, a title patterned after my first book, YOUnique. YOUtang: e YOUnique approach to erasing debt! Thanks to all who shared their ideas, even the bad and funny ones. If you think about it, there are no bad ideas. The only bad ideas are the ones never explored. Why? Because every bad idea has the potential to evolve into a good idea. Many years ago, it was a bad idea to sell cell phones to the masses. Today, everyone has a cell phone. Our maid has two cellphones, though I have only one. Before, having a safe, secure job was a good idea. Today, it is a bad idea to rely on just a safe, secure job. Speaking of ideas, did you know that one idea, good or bad, can change your life? Well, that is my hope and prayer as I write this book. I want this book to impart great ideas, or, to be precise, “great money ideas” that can make a positive impact in people’s lives. Before you flip to the next page, let me emphasize that this is not another personal finance book. I love personal finance books, but there are so many in the market right now that I don’t think it’s necessary to add another one. Debtermined is a behavioral finance book. What’s the difference? Personal finance books teach us the ‘hows’ and the ‘whats’ of finance. Behavioral finance teaches us the ‘whys.’ Simply put, it will show us why we do what we do, and how we can change our behavior so that we do what we had intended to do. Personal Finance is about knowledge, and behavioral finance is about (you guessed it) behaviour. Don’t just read this book; study it. Make it your book by personalizing and interacting with it. Take down notes, mark down and underline the lessons that come to life. The books that have helped me the most were those that I interacted with and reflected on. 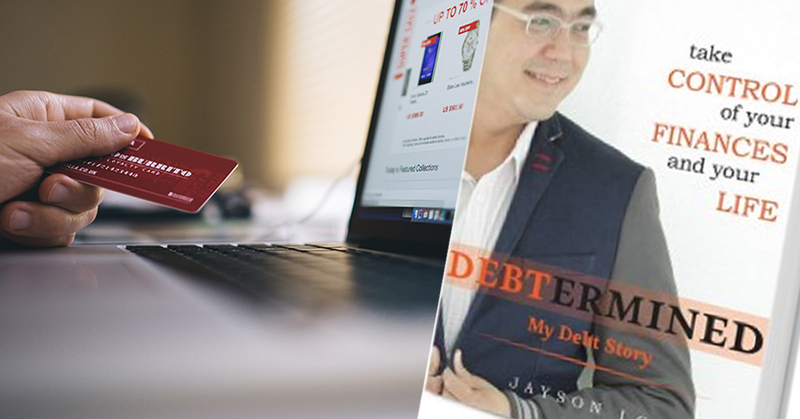 Join me as I share my debt story and the debt stories of others who, through perseverance and courage, were able to triumph over debt. Let’s journey towards our financial dream destination by traveling TOGETHER TO-GET-THERE! Email us at jayson@jaysonlo.com and indicate the followingUpon confirmation of deposit, we will notify you and send the book to your address.